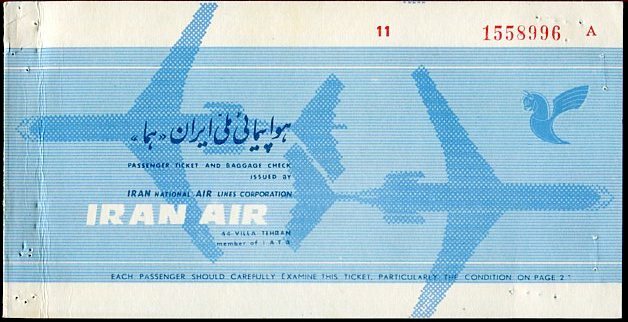 HISTORY: IRAN AIR, branded as The Airline of the Islamic Republic of Iran, is the national flag carrier airline of Iran headquartered on the grounds of Mehrabad Airport in Tehran. Founded in May 1944 as Iranian Airways by Reza Afshar and Gholam Ebtehaj. In 1954, the privately owned airline Persian Air Services (PAS) was established. 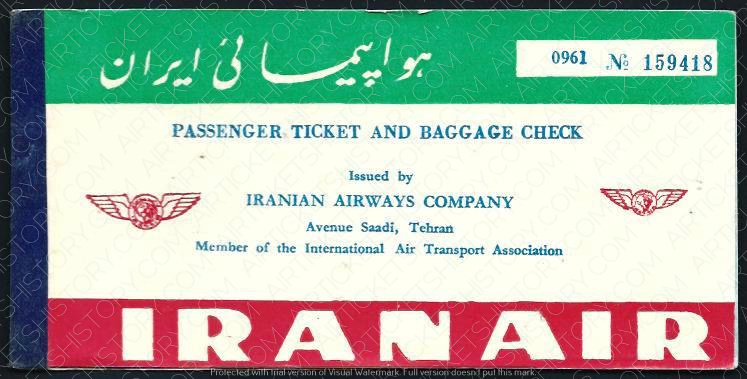 Iranian Airways was nationalized in 1961. On 24 February 1962, Iranian Airways and PAS merged to form the Iran National Airlines Corporation, known as Iran Air, using the homa bird as a symbol.